WinRAR 4.10 (Beta 1) (x64) 0 out of 5 based on 0 ratings. 2 GB archive size and 65535 file number ZIP limitations of previous WinRAR versions are not valid anymore. 2. WinRAR can create multivolume ZIP archives, which are also known as split ZIP files. ZIP volumes have names like 'volname.zip', 'volname.z01', 'volname.z02'. Use a volume with ".zip" file extension in all archive processing operations like starting extraction or opening an archive. WinRAR needs to have access to all ZIP volumes of multivolume file set at the same time, when creating or unpacking them. So it is impossible to create or unpack ZIP volumes on removable disks, one volume per disk. You need to create them all in the same folder. 3. Added the high precision file time support in ZIP archives. WinRAR can store and extract modification, creation and last access file time in ZIP archives with 100 nanosecond precision. You need to set "High precision modification time" option in "Time" part of archiving dialog to store all 3 times in archive. Set appropriate "File time" options in "Advanced" part of extraction dialog to choose times to extract. 4. Added support for Unicode names stored in ZIP extra field data. Different ZIP tools store Unicode names either in file header or in ZIP extra field and now WinRAR can correctly process both types of Unicode names. 5. "Synchronize archive contents" option and -as command line switch are supported in ZIP format. 7. By default, WinRAR proposes to update an archive if viewer modified an opened file or created any new files. New "Ignore modifications for" option in "Settings/Viewer" dialog allows to disable such behavior. You can enter one or several file masks separated by spaces here and WinRAR will not prompt to update an archive if file created or modified by viewer matches one of these masks. 8. Changes in volume size input field. Now you can select size units in the drop down list to the right of volume size. Previous way to define size modifiers, by entering 'k', 'm', etc. character after the numeric size value, is also supported. 9. Changes in "Predefined sizes" in "Define volume sizes" dialog. 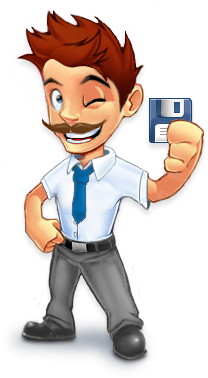 Floppies and ZIP disks are replaced by 5 MB and 100 MB volumes, added new entries for maximum FAT32 file size and for Blu-ray disks. 10. New "Wipe files if password is set" option in "Options" page of archiving dialog. If you prefer to always delete encrypted files securely, you can enable "Wipe files if password is set" in the default compression profile. 11. New "Wipe temporary files/Encrypted only" option in "Settings/Security". It allows to use a slower and more secure delete for temporary files extracted from archives identified by WinRAR as encrypted. Quick delete is used for all other temporary files. a) now it is possible to convert encrypted archives. Previously "Convert archives" command skipped them. b) special "rar2" archive type, which was specific for RAR 1.x and 2.x archives, is removed. Now "rar" archive type controls conversion of all versions of RAR archives. Since the convert command does not need to detect RAR archive version anymore, the initial search for archives is performed faster, resulting in shorter delay before displaying "Convert archives" dialog. 13. New -log[fmt][=name] switch allows to write archive and file names to log file in archiving command for RAR and ZIP formats and also in extracting, deleting and listing commands for RAR format. This switch is especially useful, when you need to further process an archive created with -ag or -v switches, because -log provides the archive name generated by WinRAR. 14. New -@[+] switch allows to process all parameters starting from '@' character either as file names (-@) or as file lists (-@+). 15. "Setup program" SFX options are moved from "General" to "Setup" page of "Advanced SFX options" dialog. Both "Run after extraction" and "Run before extraction" are now multiline, so it is possible to specify several setup programs for same SFX archive. 16. "SetupCode" SFX script command instructs SFX archive to wait for termination of setup program and return the exit code of setup program increased by 1000 as the exit code of SFX executable. GUI equivalent of this command is "Wait and return exit code" option on "Setup" page of "Advanced SFX options" dialog. 17. SFX does not support "S" (create in the top level of Start Menu) "Shortcut" command mode anymore. Recent Windows versions do not allow programs to add items to the top of Start Menu.